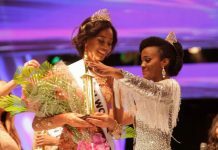 On Sunday July 16th , at the Central Bank of Trinidad and Tobago, a new Miss Trinidad and Tobago 2017 was crowned. 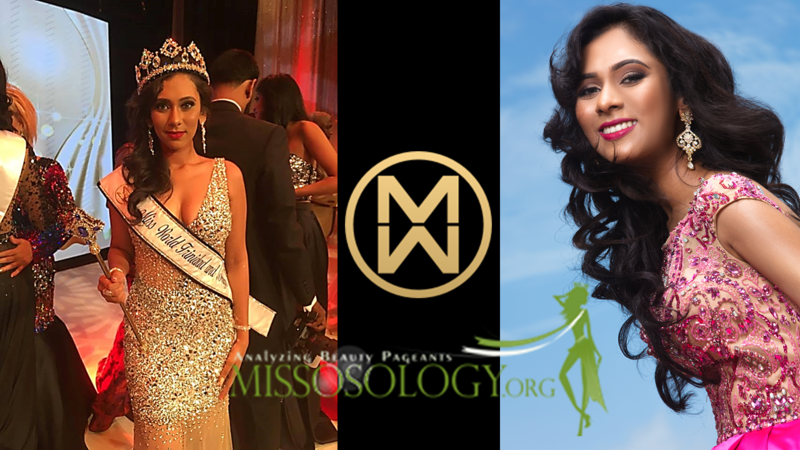 The pageant is organized by the Miss Oneness Trinidad and Tobago, the only and most prestigious international pageant body in the country. Chandini Chanka, a 22 year old International Relations graduate from the most prestigious university in the region and Law student, will represent Trinidad and Tobago at the 67th Miss World edition in China. Trinidad and Tobago has the highest GDP in Latin America and the Caribbean. The country is usually seen as the big brother when other countries in the region are in need of assistance. Last year, they donated over $55 million US to neighbouring Venezuela to help with their current economic crisis. When other nations in the region are hit with national disasters, it is the first country to respond. Chandini Chanka is brining hope to over 1.4 million Trinidadians. Recently, the country was named the most dangerous country in the English speaking Caribbean and is on the list for the top 10 most dangerous places in the world. This is said to be due to the extremely high crime rate of a population of 1.4 million. In the Western Hemisphere, TT has the highest export rate of ISIS recruits in the Middle East. Chanka, will try to bring hope to her people on November 18th in China when she competes for Miss World 2017. As a young child growing up, Chandini Chanka has always dreamt of becoming Miss World. 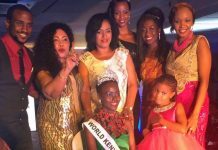 She said in an interview on CCN TV6 (the country’s oldest television network) the morning after she was crowned, that her mother, never got a chance to represent her country at Miss World due to family disapproval and the swimsuit segment. It is a tradition for both Chandini, her mother and entire family to watch every Miss World edition. Chandini Chanka, graduated from the one of the most prestigious High school’s in her country- St Joseph Convent and then later to the University of the West Indies (UWI) – the most prestigious university in the Caribbean region. She plans on becoming an attorney in the near future. Chanka, is Hindu by faith and won her first pageant she participated in, Miss Divali Nagar 2015. That pageant was her stepping stone in entering Miss World. The Miss Divali Nagar pageant was broadcasted on ZEE TV – one of Miss World official broadcasters since its inception. Delegates were put through various Miss World elements such as; Sports, Talent, Top Model, Beauty with a Purpose and pre-judging interview. On the final night, stage presence and star quality together with final interview were judged. The delegates with the highest combined score has been chosen to represent the country. TT, in 2015 was the first country to eliminate the swimsuit round. The organization is strict when it comes to all rules. The TT national Miss World franchise is definitely the most hardworking national organization in the Caribbean and Latin America. Their commitment to Beauty with a Purpose is beyond any national franchise in the region. All delegates had their personal BWAP projects which they also had to work with another charity organization of their choice. Candidates were even seen on footage missing cement together with the national director. The delegates travelled all over the country, even debated in the Parliament of Trinidad and Tobago. They also visited many historical sites and were treated in luxury. Limousine carried the girls to all their site visits. On the final night, delegates wore gowns from Sherri Hill and Jovani. International designer and Jeannie Mai personal designer, Eric Bendana also showcased his designs at the event. Many political figures were present at the event. His Worship the Mayor of San Fernando, Councillor Anderson Williams, the Honourable Minister of Tourism, Member of Parliament for La Brea/Minister of Energy Ms. Nicole Oliverre and Ms. Melissa Griffith from Parliament. Hair was also done by politician and the first transgender in the country, animal activist Jowelle de Souza.